Preheat your grill on "smoke" for 4-5 minutes with the lid open. Set the temperature to high, and close the lid and preheat for an additional 10-15 minutes until it reaches 450 degrees. Tie the legs together on your chicken with baker's twine. Place your chicken onto the grill, breast side up. Grill for 70 minutes. DO NOT OPEN THE GRILL for 70 minutes. 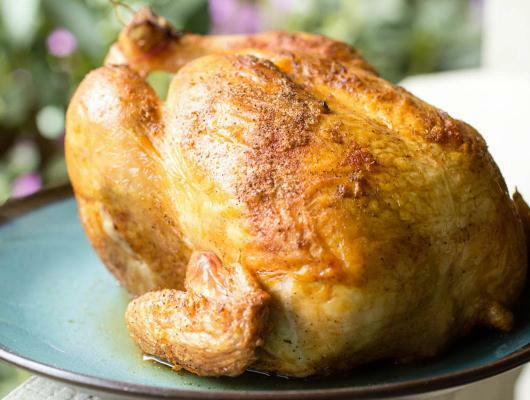 Carefully remove the chicken from the grill and let rest for 15 minutes. Cut and serve! 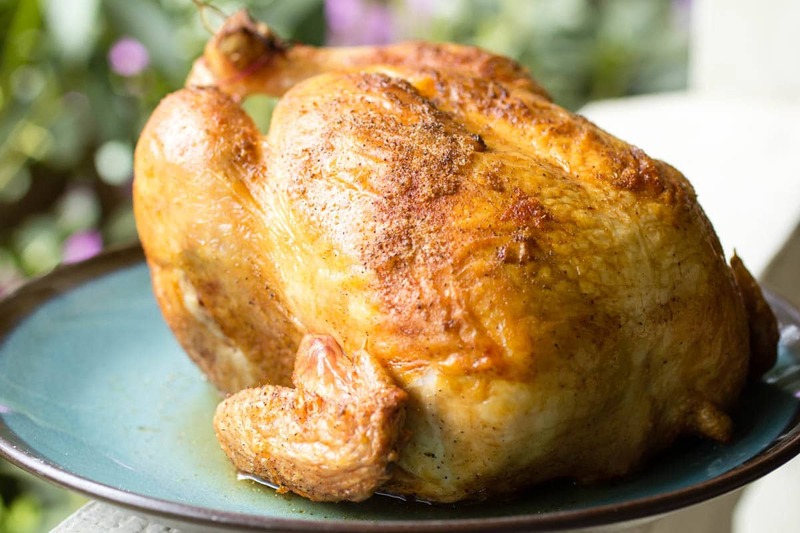 Traeger Grilled Chicken is the first recipe that they recommend you tackle after buying your first Traeger wood pellet grill, and after tasting this I can totally see why. I’ve never had a whole chicken that retained so much moisture, or had so much flavor. Check out my blog post here.